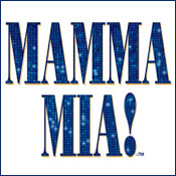 Heritage Drama Boosters: Tech Week Meals for MAMMA MIA! Tech Week Meals for MAMMA MIA! Thank you for volunteering to help with meals during Tech Week! We will need 6 volunteers for each night. Please sign up for the evenings you would prefer to help out. We will send out more information regarding specific details for each night. Most meals will need to be picked up at Wegmans or other local restaurants. Thank you for helping provide meals during this busy time. The cast, pit, and crew of over 100 greatly appreciate it!